Although the gun control debate is often polarized, Congress and President Obama have demonstrated that common-sense reforms are still possible. Kudos to them. I take that as very tongue and cheek. The reality is that we all know the President is pretty anti-gun, but that differs from his actual record, thanks to Congress having been pretty successful at cajoling him into signing some meaningful pro-gun measures into law. Obama is not willing to make gun control the centerpiece of his administration, even as Hillary is preparing to make it a centerpiece of her campaign. Never interrupt the enemy when they are in the process of making a mistake. Smile, be happy and joyful. It drives these old scolds batty. 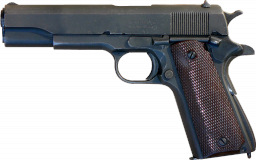 Buy one of Obama’s antiquated 1911s? 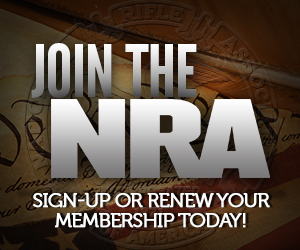 No thanks, there are better, more modern guns on the market, by Glock, Sig and others. Heck, my Astra A-75, .45 is better than that. Only 7 + 1, like a GI .45, but more compact, double action, and with a better mechanism. It’s a great gun – John Browning would approve of it. His genius was in knowing a better design when he saw it. A Glock would make John Browning cry. He would weep for his own, recognized, inadequacy. Yeah, it’s that good. Now, if they would only get rid of that ridiculously heavy trigger and cheap plastic, non-illuminated sights on the 43 . . .
You can be happy with 40,000 rouble pistol with no history and plastic grip who kills paper target and deer with no weapon or fighting heart. I can be happy with 2,000 rouble pistol that is artifact of military history and kills Communist and Nazi alike. Joy of having 1911 pistol is joy that money cannot afford! Ahh, so that’s why he’s so petulant right now. No, that’s just who he is. No reason required. I am waiting for something meaningful to be attached to a bill Obama must sign (Reciprocity and Immunity, *ahem*). The GOP can certainly do it, I just don’t think they will. Sorry to be the wet blanket, but do you really think the CMP under Obama is going to sell handguns to conservatives? Or that base commanders are going to allow carry when the Commander In Chief has demonstrated he will sack careers for far less than that? Or that states won’t continue to ban lead ammo for fun? Obama signed these because they are meaningless. These are victories, but pretty hollow nonetheless. Actually moving the ball down the court is something the GOP just won’t do for us. Obama does not know what all is in the bill. Nobody told him. i like how he described surplus military guns as non-automatic. I move we strike “semi-automatic” from the gun debate lexicon and start using “non-automatic” exclusively in the press.